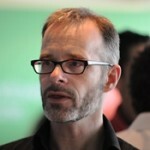 Is it important to connect your supply chain strategy with your business strategy? According to a recent survey by Tompkins Supply Chain Consortium, nearly 80 percent of participants agree. 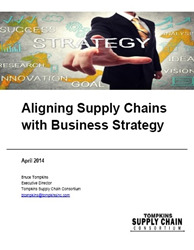 Aligning Supply Chains with Business Strategy, a new report by Tompkins Supply Chain Consortium based on survey findings from 172 participants, makes a strong case for the importance of connecting supply chain and business strategies. “We found that the better the level of alignment, the more likely it is that companies are achieving their objectives for cost reduction, customer service, and other metrics,” explains Bruce Tompkins, executive director of the Consortium and author of the report. From a global view, survey participants from North America believe their supply chains are of greater value to their companies than do the rest of the world. While global companies’ rate higher for cost reduction, inventory, customer service, and profitability, the degree of alignment is higher at North American companies. Click here to download the report and receive additional information. Tompkins Supply Chain Consortium is the premier source for supply chain benchmarking and best practices knowledge. With more than 350 participating retail, manufacturing and wholesale/distribution companies, the Consortium sponsors a comprehensive repository of over 10,000 data points complemented by search capabilities, online analysis tools, topic forums and peer networking for supply chain executives and practitioners. The Consortium is led by the needs of its membership and an Advisory Board that includes executives from Domino’s Pizza, GlaxoSmithKline, Hallmark, Ingram Micro, Kane is Able, Miller-Coors, The Coca-Cola Company, Target and University of Wisconsin. To learn more about how your company can become a member of the Supply Chain Consortium, contact Patty Trocchio at ptrocchio(at)tompkinsinc(dot)com or visit www.supplychainconsortium.com. Posted in Supply Chain Management.